Does the European PED address pipe fittings? Lately, we’ve been fielding many questions about the Pressure Equipment Directive. Specifically the impact of the PED on pipe fittings. What we have uncovered is that with regard to mechanical piping systems and their components, the Directive is often misunderstood. To address this misunderstanding and several other commonly asked questions from our European customers, we sat down with our in-house expert, Len Swantek, Director – Global Regulatory Compliance to share his insights on the Pressure Equipment Directive. First, what is the Pressure Equipment Directive (PED)? The European PED 2014/68/EU sets the standards for the design and fabrication of pressure equipment and other components and assemblies subject to pressure loading generally over one liter in volume and having a maximum pressure more than 0.5 bar. The PED also sets the administrative procedures and requirements for the conformity assessment of pressure equipment, for the free placing on the European market. What hazard categories are defined by the PED? The PED works with five different hazard categories. The higher the category, the greater the hazard. The first two categories, “Sound Engineering Practice” and “Category 1”, don’t require involvement of a Notified Body. The other three do. Which factors determine the hazard categories? There are five influencing factors that determine the hazard category your equipment, components, and assemblies belong to. How do I know if a product meets the Pressure Equipment Directive? You can recognize products that are defined in and comply with the PED by their CE marking. This marking indicates the manufacturer has successfully completed a conformity assessment in accordance with health and safety standards for products sold within the European Economic Area (EEA). The CE marking is also found on products sold outside the EEA that are manufactured in, or designed to be sold in, the EEA. The manufacturer declares that the product, regardless of the place of manufacturing, meets the requirements of the applicable European Commission Directives. 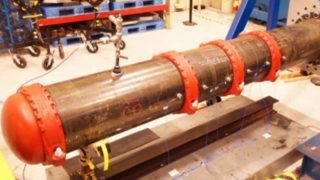 Are mechanical pipe couplings and pipe fittings addressed in the Pressure Equipment Directive? No. Pipe couplings and pipe fittings are actually considered material components of pressurized systems. These products don’t have a defined pressure boundary and don’t meet the scope of the PED. Because mechanical pipe couplings and pipe fittings do not fall into the scope of the PED, they don’t qualify for CE marking or a Declaration of Conformity. In fact, if a CE mark would be placed on a pipe coupling or pipe fitting, this would be a violation against the PED. Without a CE mark, how does a customer know if the pipe fittings will perform as stated? Great question, and it’s something we encounter regularly. We cannot speak on behalf of other manufacturers, but to address this concern, Victaulic pipe couplings and pipe fittings are subjected to a comprehensive internal technical study according to ASTM F-1476, F-1548 and all materials used are tested to ASTM, EN, and ISO standards. We are also proud to report that Victaulic holds a PED Material Manufacturing Certification and is audited annually by a Notified Body. What is a Notified Body, and why is it necessary to work with one? The role of a Notified Body is to conduct a conformity assessment under the relevant EU Directives The conformity assessment usually involves an audit of the manufacturer’s production and quality system and depending upon the PED hazard classification of the product, a review of the relevant technical documentation provided by the manufacturer in support of the safety and performance ratings for the products. Does the European PED address pipe valves and pipe accessories? Yes. Valves and accessories are considered as pressure equipment and therefore bare the CE safety marking, as long as they are approved. The assessment process takes into account all the pressure-bearing components in accordance with the PED Essential Safety Requirements (ESR). Ongoing material evaluation, as well as production testing and proper recording of this data within the Technical Construction File (TCF), enables a manufacturer to issue a Declaration of Conformity for each product type. What Pressure Equipment Directive documentation does Victaulic provide? 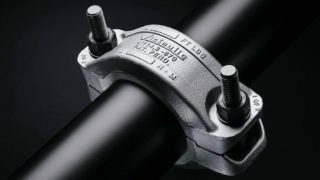 For pipe couplings and pipe fittings Victaulic provides a PED Position Statement, and for pipe valves and pipe accessories, Victaulic provides a Declaration of Conformity. Victaulic’s PED Material Manufacturer Certificate and material test reports for couplings and fittings, as well as valves and accessories, are also available upon request. To learn more about the PED, go to the site of the European Commission.